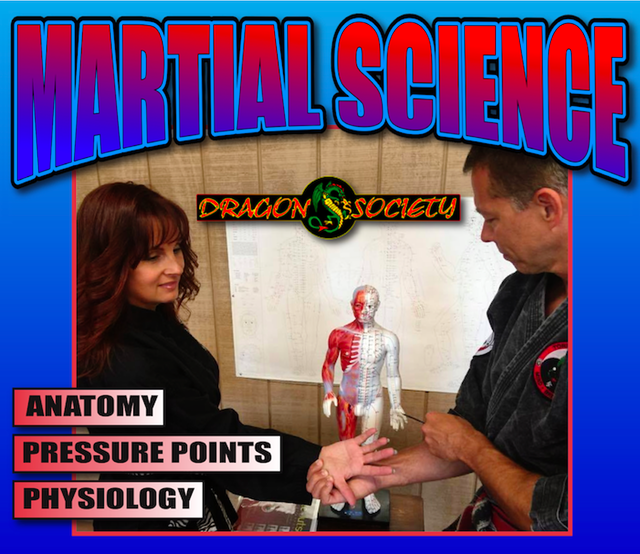 Martial Science is the study of armed and unarmed combat. Moreover, it is a deep understanding of all facets of fighting. Though fighting has changed little over the millenia, our understanding of it has grown significantly over time! What makes us unique is that we began our studies with ancient Traditional Chinese Medicine to understand the interplay of the various systems within the body - organic, systemic, energetic, and so on. Then, we have tempered this with advanced study of Anatomy and Physiology, neurological, vascular, skeletal, sympathetic nervous system, body language, and much more. Understanding how both our and our opponent's bodies react under stress has led to the development of a comprehensive system that works under stress! To further enhance our techniques, we have developed principles which we call "Players to the Game." These powerful principles greatly ramp up the effectiveness of what we do to an opponent, yielding 10x improvement! Overcoming an opponent with greater strength and size is only possible with these advantages. With them, his/her size and strength are irrelevant! Seminars offered at White Tiger throughout the year - for high rank teens & adults.